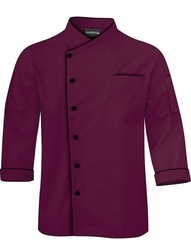 Make a personal statement with this executive chef coat. 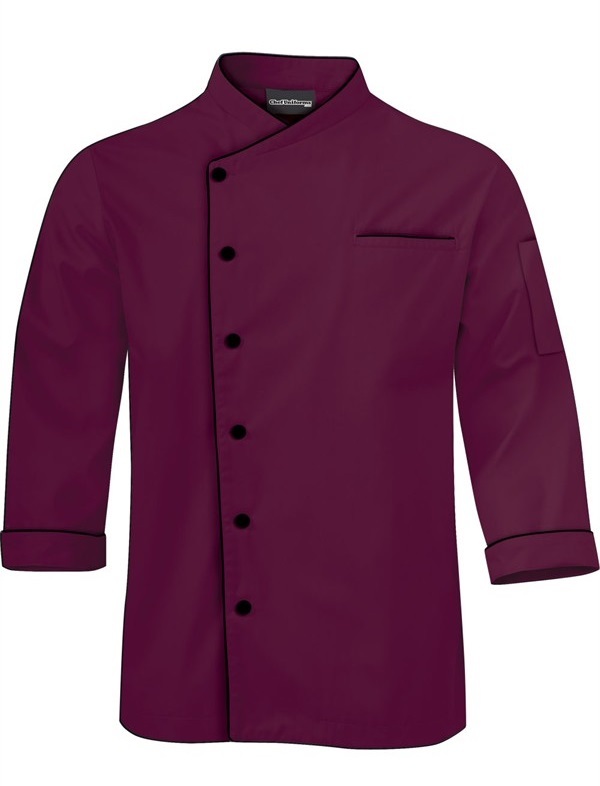 nstantly feel the difference in this tailored fit Chef Coat with Black or Greystone piping. Experience all day comfort with two piece executive back, underarm vents to keep you cool and extra room in the arms for maximum movement. Features quality fabric-covered buttons, along with a chest pocket and a convenient double pocket on the left sleeve. Made with soft, easy care 65/35 poly/cotton fine line twill..